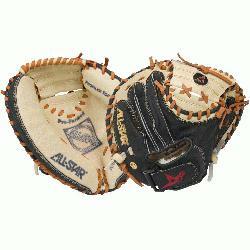 The CM1010BT is designed as an entry level catcher's mitt but mimics the look of All-Star's high end youth mitts. 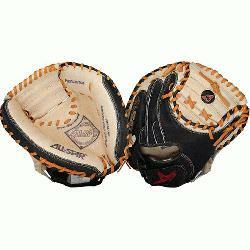 It features All-Star's classic black and tan leather look and uses a proven stitching pattern. The Mit includes Velcro closure, Flex-action crease, and profiled toe. and 31.5 inch pattern.